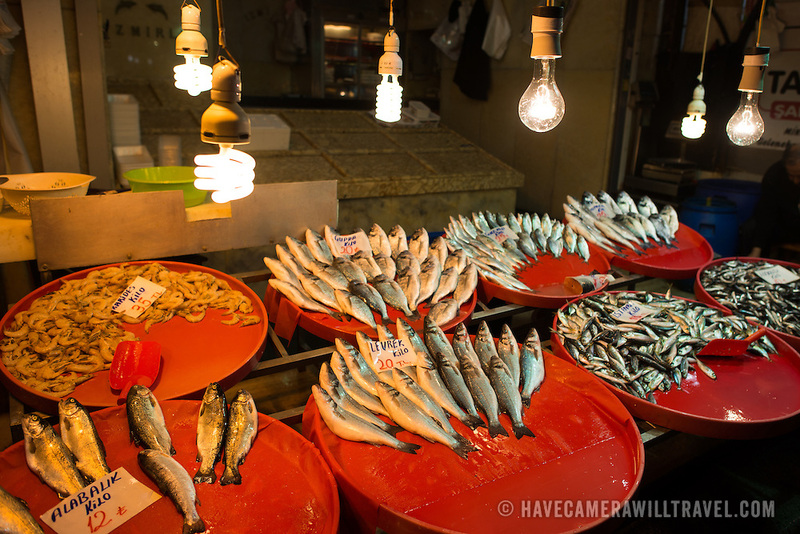 A store selling fish at Istanbul's Spice Bazaar. Located in the Eminonu quarter of Istanbul, next to the Galata Bridge, the Spice Bazaar is one of the city's largest and most famous markets. It is also known as the Egyptian Bazaar.